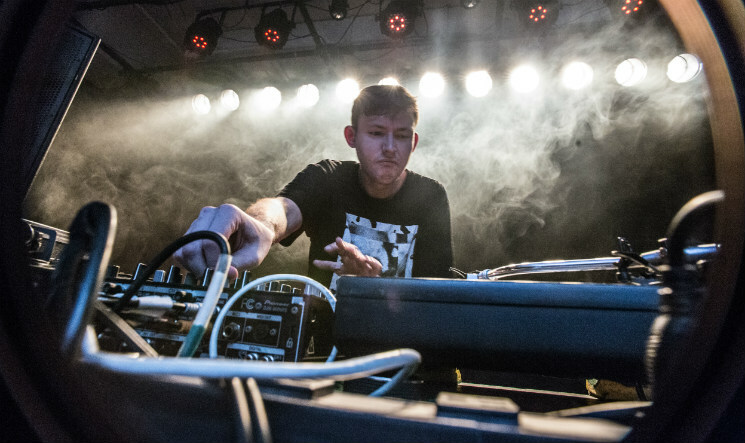 Hudson Mohawke lashed out on Twitter last night (March 13), accusing rappers Kanye West and Drake of not paying up for the use of beats he made. In a tweet that has now been deleted, Mohawke threatened to release a zip folder of tracks that he had received no payment for. After deleting the tweet, the producer explained that friends and family has stopped him from "fully exposing frauds in this biz." He noted that that he didn't want to get caught up in a legal battle that could prevent him from releasing his own music, then continued to say that he didn't have "10 milly" to deal with the consequences. And while the direct references to West and Drake have been pulled down, he did offer the following advice to up-and-coming producers: "Mainstream rappers have less business sense than ur mum." Read the string of remaining tweets below. Actually since being asked so many times "wats your advice to upcoming producers"..
Mohawke has recently received production credits on West's The Life of Pablo, as well as ANOHNI's forthcoming album HOPELESSNESS. He is also one half of the musical duo TNGHT alongside Lunice.